David Beckham in adidas Predators, Brazilian Ronaldo in Nike’s R9 Mercurials and who could forget Gary Neville in Diadoras... Is it just us that when thinking about iconic players we always remembers their boots too? I guess not. 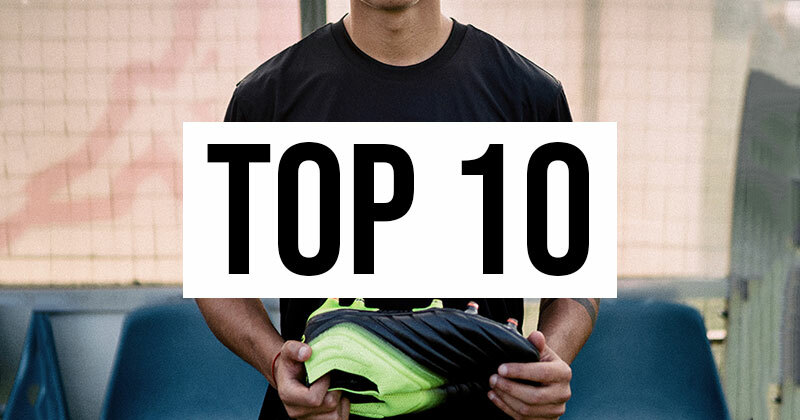 As much as we’d like to write pages and pages on Red Nev’s black and illuminous green footwear, we thought we’d compile a list of today’s current crop of world footballing talent and the boots they wear. 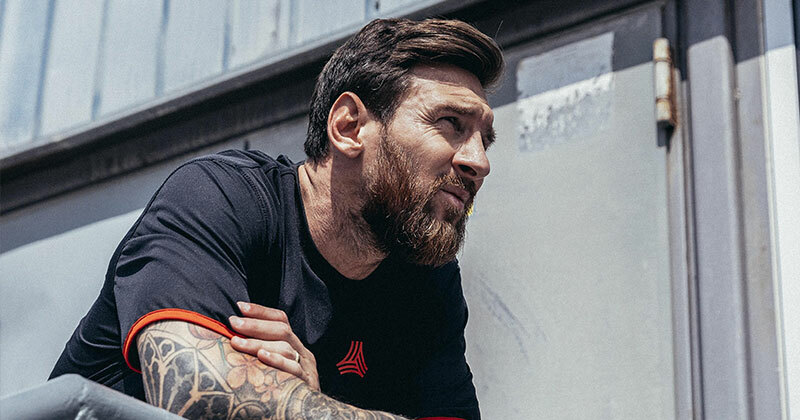 Often regarded as the greatest player to ever play the game, Lionel Messi is the face of adidas football boots (despite starting his career wearing Nike). Most notably the Argentine will be remembered for the f50 range, which he wore for the majority of his early playing career - who can forget the +f50i boot Messi held aloft when scoring in the 2009 Champions League final. The Barcelona record-breaker’s global status saw adidas bring out a Lionel Messi range of boots in 2015, appropriately named ‘adidas 15’. Messi now chooses to wear the popular Nemeziz 18+ boot, since they burst on the scene in 2017. 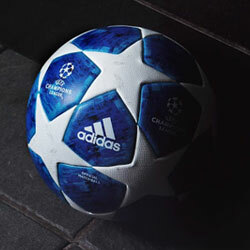 The five-time Ballon d’Or winner has always worn an adidas range which suits his quick feet and dribbling prowess. Agility is the name of the game for the Nemeziz 18+ boot, with the most striking aspect being the Agility Bandage technology, which has been designed for complete mobility in all directions at pace, a feature which suits Messi’s game down to the ground. 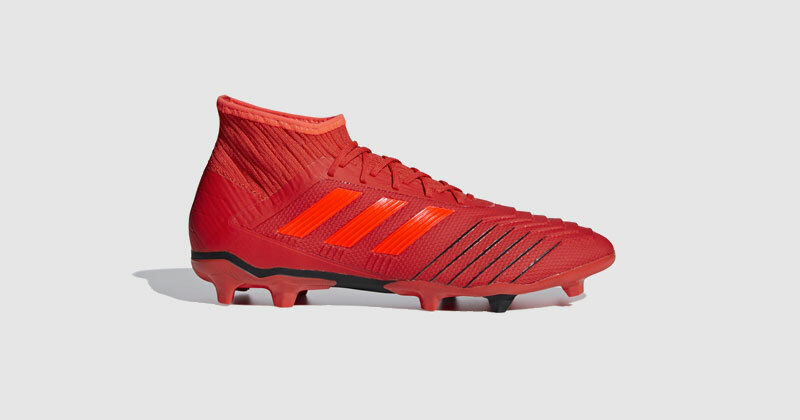 Adding to this, the Agility Weave used at the forefront of the boot provides a responsive touch, helping the master goalscorer unlock defences with his dribbling and close-control. Getting the Messi look doesn’t always have to come at a high price tag. 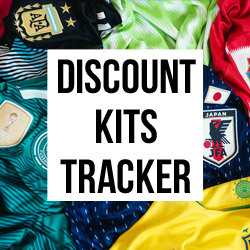 There are more cost-effective alternatives available on the market to the Nemeziz 18+. The 18.3, 18.2 and 18.1 are all solid alternatives across the Nemeziz range. 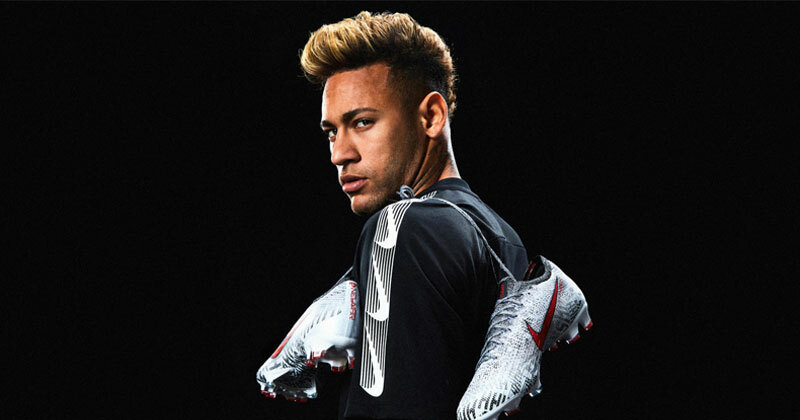 Unlike Messi who switched brands, Neymar has always been associated with Nike. Even in his early days when making a name for himself for Brazilian outfit Santos, the silky-skilled attacker was wearing Nike Mercurial Vapor boots. 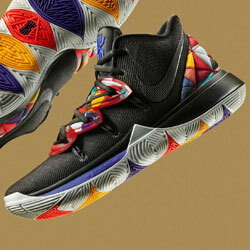 As the superstar started to emerge in the public eye, the more prevalent he became with the Nike brand. During the 2012 Summer Olympics, Neymar wore the Nike GS (Green Speed), a boot that was at the time the lightest Nike had ever made. By the time the Brazilian had joined Barcelona, he found himself as the face of Nike’s launch of their Hypervenom boot. However, controversially he made the switch to the Mercurial range two years later in 2015. 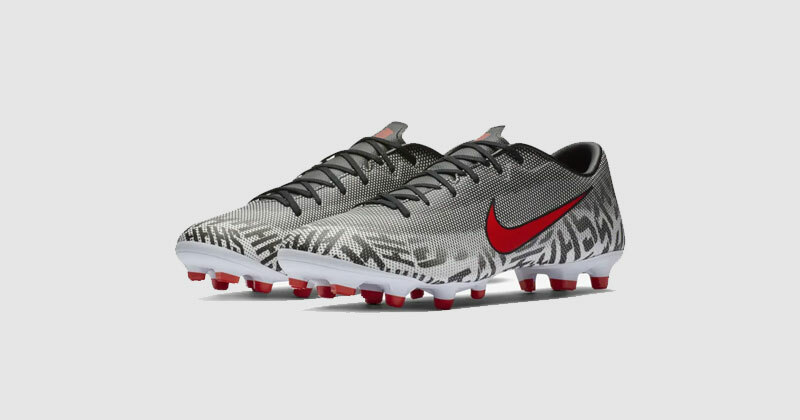 This season Neymar is sporting the Nike Mercurial Vapor XII Elite boot. 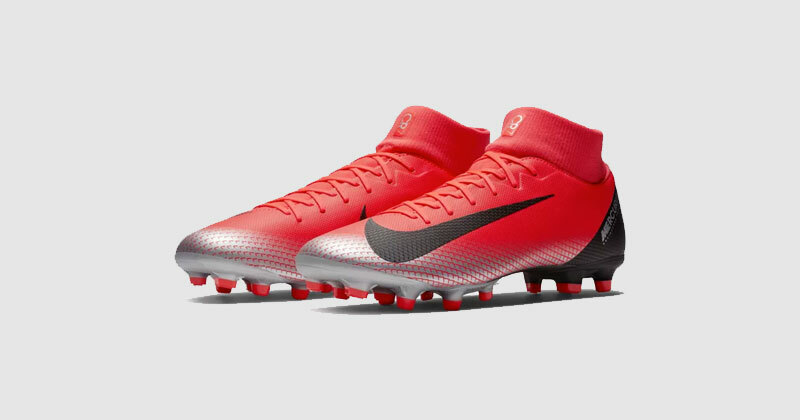 The range is designed for players with speed and agility, two of the Paris Saint-Germain star’s best attributes. 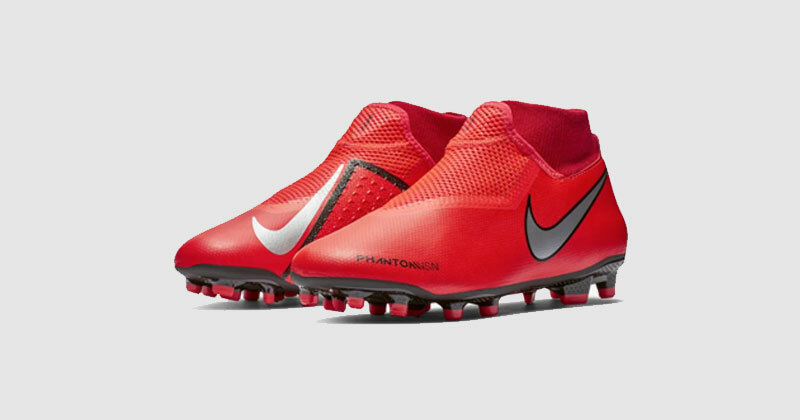 The Vapors wrap the entire foot in Flyknit technology which eliminates gaps between the foot and the soleplate. 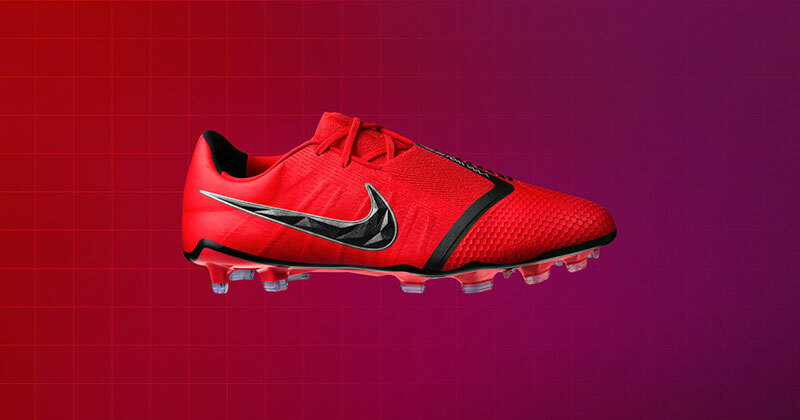 Nike state that this results in the perfect fit which will give players the edge when gliding across the ground, perfect for Neymar as he dribbles past his opponents. As always, you can look like Neymar without paying premium prices, by visiting FOOTY.COM. Both the Mercurial Vapor XII Academy and Mercurial Vapor XII Club boots are great options. We can’t name Lionel Messi as one of the best to grace the game without mentioning Cristiano Ronaldo. The Portuguese megastar sits at the highest level of the game’s elite, and being a style icon, his Nike footwear has often been sought after. The goalscorer spent the early part of his career in Nike Mercurial Vapors, often changing colourways two or three times throughout the season. 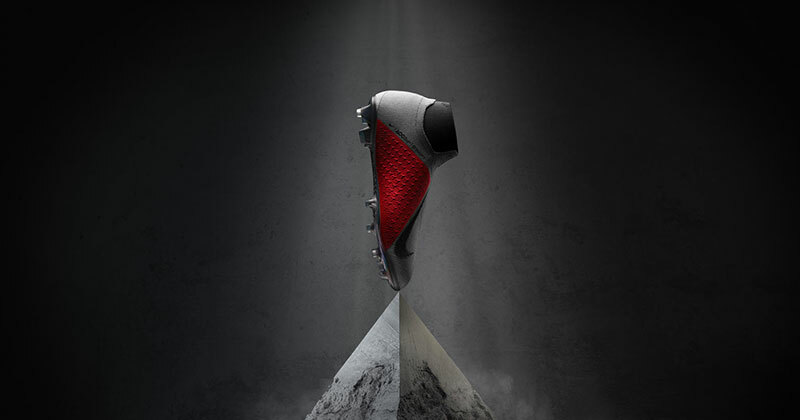 The year 2010 saw the first boot to be released from the now infamous CR7 range, a series of outlandish designs with seven iterations. Ronaldo is now wearing the Superfly VI Elite boots from the Nike Mercurial range. Similar to Messi and Neymar, Ronaldo requires footwear that complements his speed across the ground as well as his deadly shooting prowess. The Superfly VI Elite boot does exactly that with the Juventus star having never moved away from Nike Mercurial range. 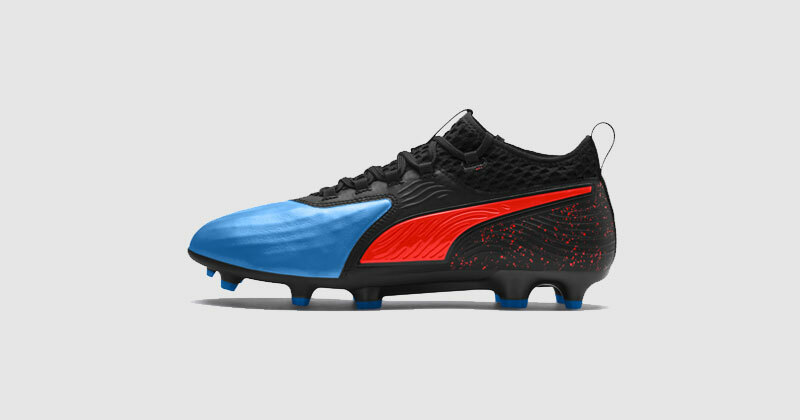 Inspired by cheetahs, traction is provided by studs precisely placed in the forefoot and heel allowing for explosive acceleration in any direction to keep your opponent firmly on their toes. Something the Portuguese legend has been doing to terrify defenders his whole career! Look like Ronaldo, play like Ronaldo. That’s the dream for all of us, right? And you can do that by checking out both the Superfly VI Club and Superfly VI Academy range at a much lower price point. The first out-and-out midfielder to make our list is Paul Pogba. Often praised and sometimes criticised for his carefree attitude on the pitch, the same could be said when it comes to the boots he has worn down the years. It’s clear that style and comfort came before brand for Pogba, as he was often switching from Nike to adidas up until 2015. 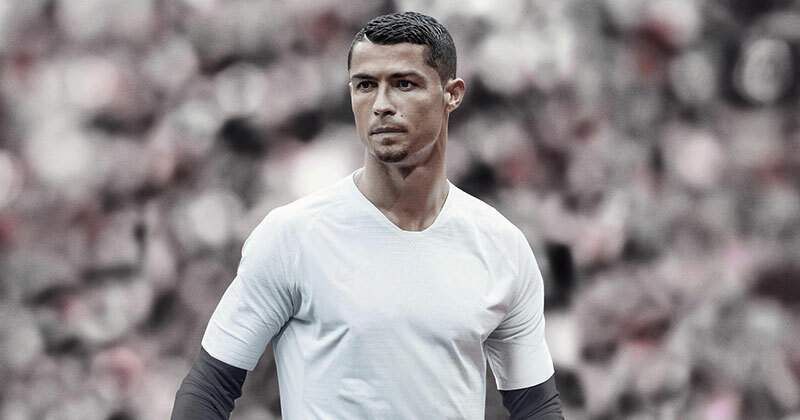 In his Juventus days, the Frenchman swapped brands from season to season, wearing the adidas Predator Instincts in 2014, before donning Nike’s Magista Obras the following campaign. 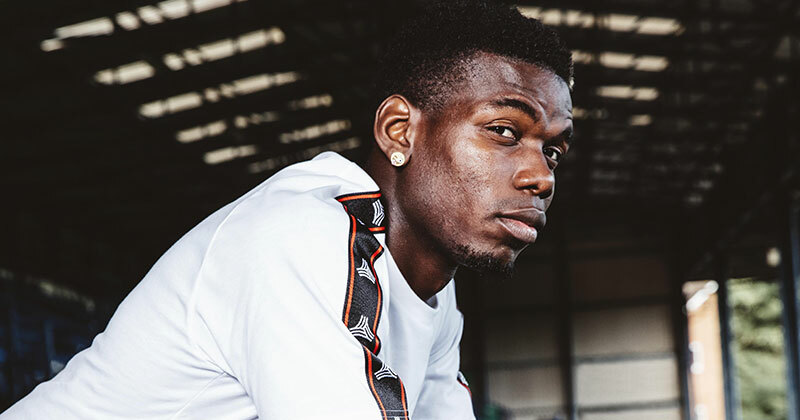 However, in 2015, Pogba found the Ace16+ Purecontrol range and hasn’t turned away from adidas since, now wearing the Predator 19+ for Manchester United. The latest version of the Predator is all about control, appealing to players who are looking to dictate a game. Paul Pogba fits that mould perfectly, often on the ball and creating things for his team. The 19+’s Controlskin upper helps keep the ball as close as possible to the World Cup winner’s feet whilst lending itself to executing that killer pass he is known for. 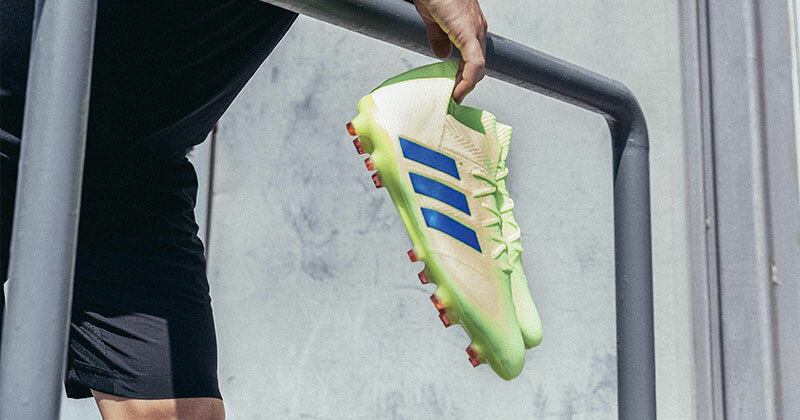 With ex-Predator users such as David Beckham, the boot also compliments players with an eye for goal, something Pogba is showing at Old Trafford with increasing frequency since the arrival of Ole Gunnar Solskjaer. With the adidas Predator being one of the world’s most famous boots, there’s plenty of alternatives suited to all players. Take a look at the 19.1, 19.2 and 19.3 collections and start spraying those passes like Paul Pogba. Paulo Dybala is one of the world’s best ‘number 10s’, a creative player who is known for unlocking defences and scoring goals for his team. The 25-year-old’s football boot history is interesting reading, as up until 2018 the Argentine had not signed a boot deal. Starting his career wearing the adidas f50 Adizero boots, Dybala then moved through the Nike range wearing Tiempo’s, Vapor’s, Superfly’s and Hypervenom’s. In 2017, Dybala switched between adidas and Puma with the Ace17+ Purespeed boots and Puma One 17.1’s, before finally committing to adidas in 2018, now wearing the Copa 19+. 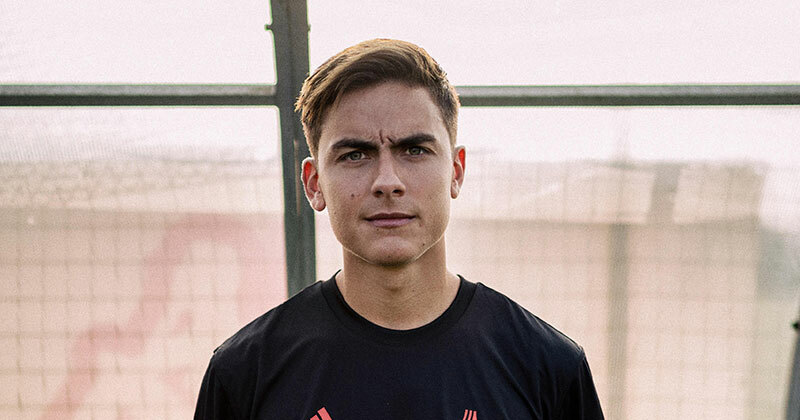 Dybala proved his global status when adidas chose him to launch the brand new Copa 19+ boots. The playmaker ran out in a Champions League game in November in a jet-black pair, sparking a lot of interest in the new product. The Copa range have been a staple of adidas for a long time and it remains one of their most popular boots. The 19+ are the first laceless version of the Copa boots, whilst the Fusion skin and super soft K leather helps a player’s touch. The tech and design lends well to a player such as La Joya as he often receives the ball in tight areas in the final third. 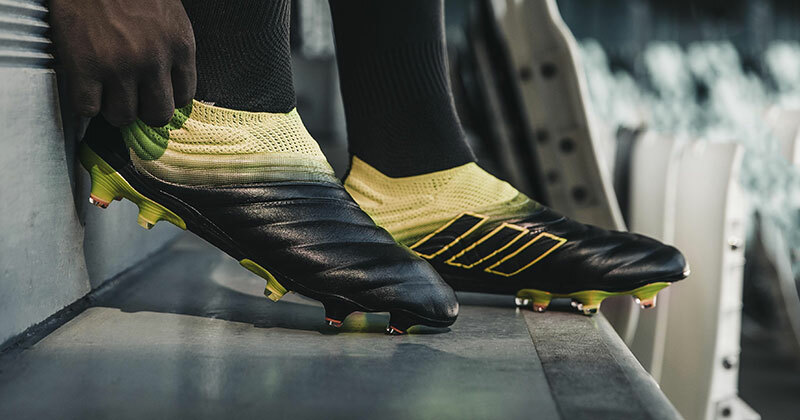 Just like the Predator, the Copa range offer fantastic alternatives to the 19+ boot. 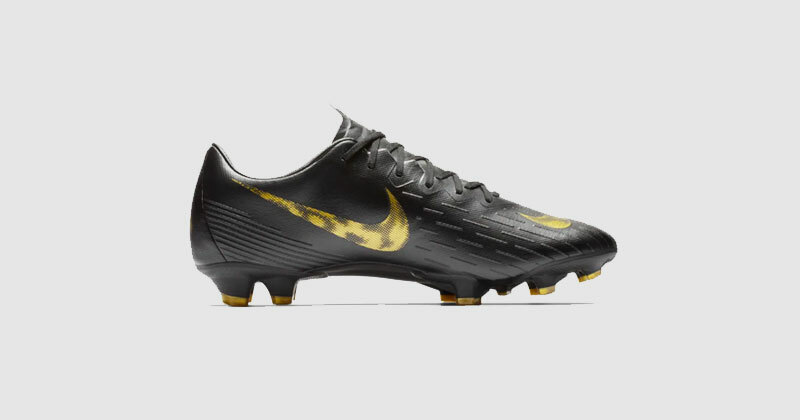 You also have the Dybala blackout version in the 19.1 and 19.3 boots. At the age of just 21, Marcus Rashford’s boot history is fairly limited. Although it feels like the Manchester United striker has been around a long time, remarkably this is only his third full campaign. Rashford has always worn Nike boots, with the striker choosing the Hypervenom range. The England international was a major part of Nike’s launch of the then new Hypervenom Phantom III’s, and, in 2017, stated that for the rest of his career he will only wear black boots. With many superstars, often changing their colourways, it will be interesting to see if the Red Devils star keeps to his promise. 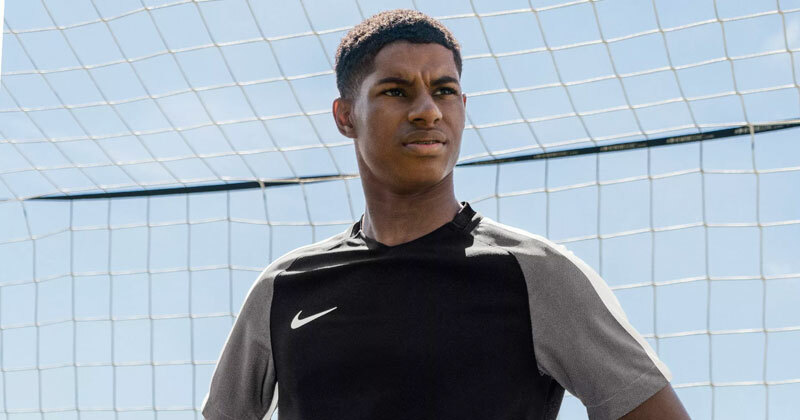 In 2019 Rashford has been wearing the brand-new Nike Phantom VNM Elite boots, a new silo from the adidas Phantom range. The boots host many of the same design and tech features, which made the Hypervenom so popular, but they’ve certainly brought something new to the table too. 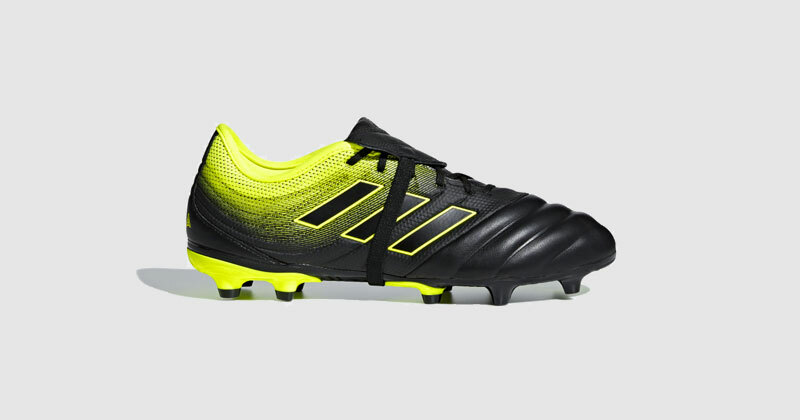 Most notably there are the ghost laces and ‘golf-inspired’ ridges on the instep of the boot, designed to give strikers greater control over the flight of the ball. With Harry Kane wearing them, Nike Phantom’s have always appealed to goalscorers, an art Rashford is getting more and more familiar with as his career develops. 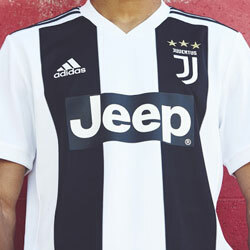 With the Nike Phantom VNM new in 2019, there are still lower price point alternatives available on FOOTY.COM. Check out the Venom Academy and Venom Pro boots. With all of the players above wearing Nike or adidas boots (or sometimes both in some instances! ), it’s refreshing to see a player wearing a product outside the two mega brands. Liverpool forward Sadio Mane has recently been the face of New Balance’s new Furon 5.0 boot which launched in 2019. 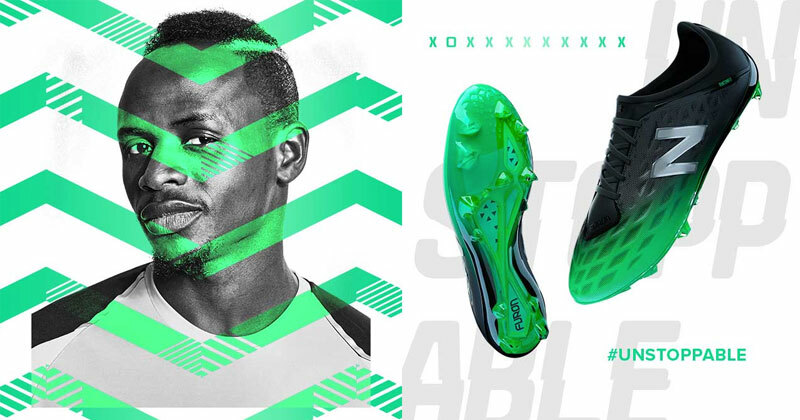 In the past the Senegalese wide man has worn Nike Vapor and Superfly boots, but it seems he will now stick with the slick design of the New Balance range, having joined as brand ambassador in May 2018. Mane was seen in the new Furon 5.0 boots at the back-end of 2018 and they seem to be a popular new design. The boots host a brand new FantomFit frame and no-sew Hydraskin upper to support target areas while maintaining lightweight, mechanical lockdown. 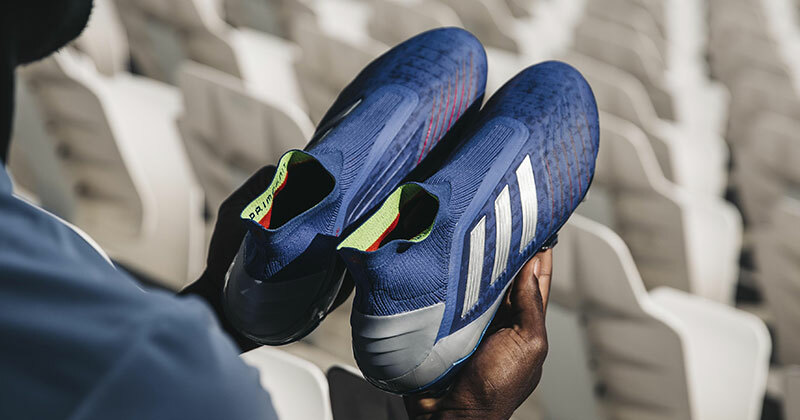 The lightweight boot is perfect for the Senegalese star has he dazzles past defences with his speed and agility. 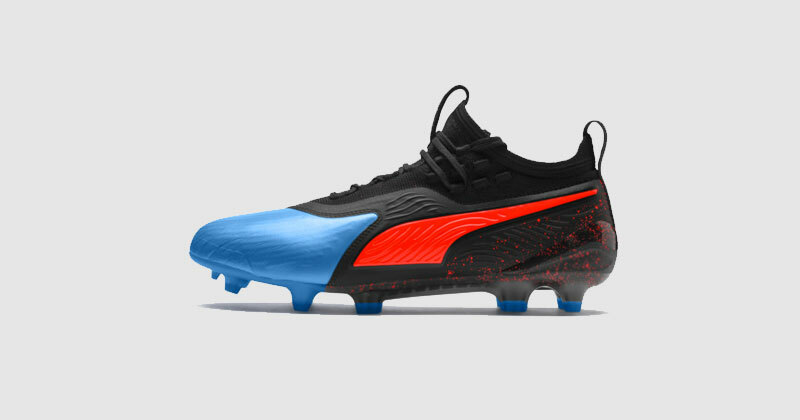 The new design also includes a new sprint spike-inspired soleplate, engineered for acceleration, a key attribute of Mane’s game. Like all major retailers, there is a more cost-effective version of the pro’s boots. 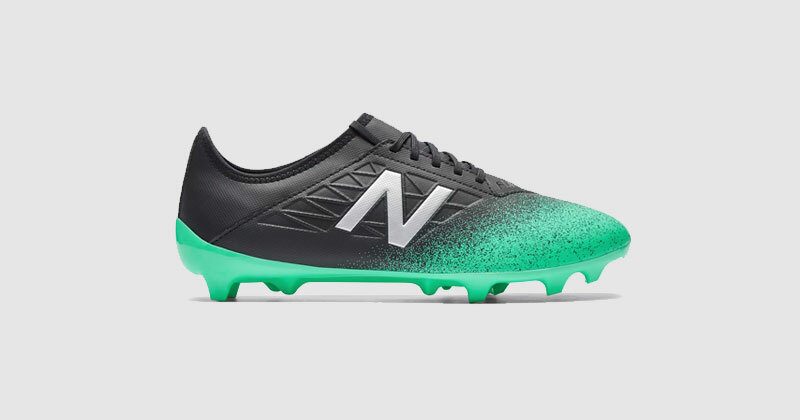 New Balance Furon is no different with the Furon 5.0 Destroy boots available on FOOTY.COM. 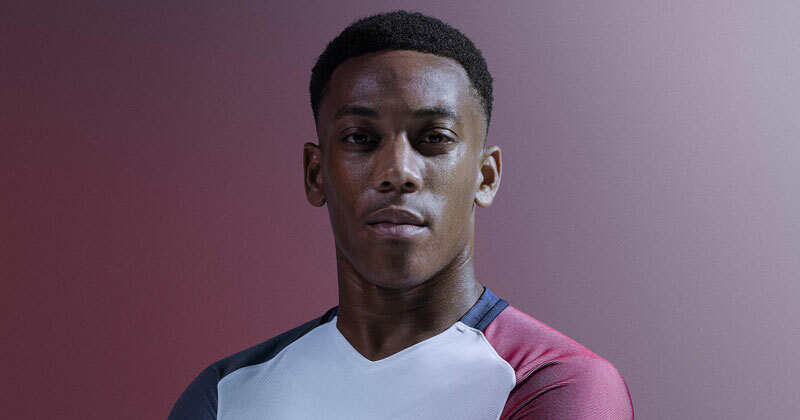 Similar to club-mate Marcus Rashford, Anthony Martial’s boot history isn’t as vast due to his age. A lover of all things Nike, the 23-year-old has mainly stuck to the Mercurial Vapor range, but has been known to wear Superfly’s too. His change of colourways is far too constant to keep up with however, as it feels like he walks on the pitch with a new pair of boots every week! The flying winger is wearing the Mercurial Vapor XII’s this campaign, and he may not change anytime soon as he is bang in form! 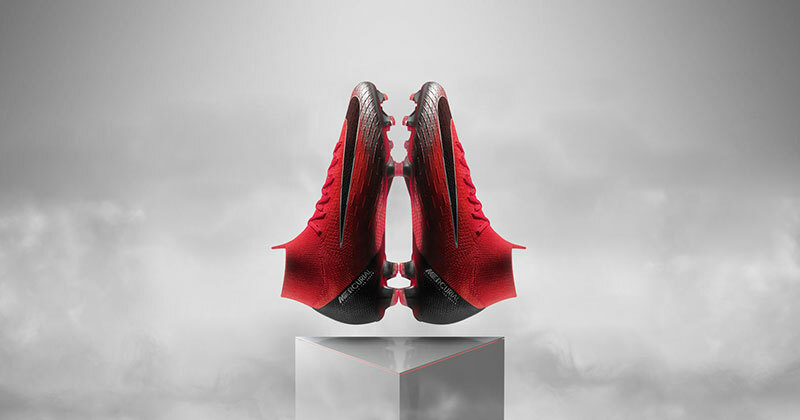 With the Vapor’s designed for players who get fans off their seats, Martial fits the remit. His silky wing play and lightning speed makes him one of the most feared players in the Premier League. The Vapor XII design suits the Frenchman’s impressive attributes, with the Flyknit technology helping him to glide across the ground. Many football fans will only ever think of Manchester City goalscoring legend Sergio Aguero wearing Puma boots. The Argentine signed a sponsorship deal with the brand back in 2011, shortly after joining the Premier League. 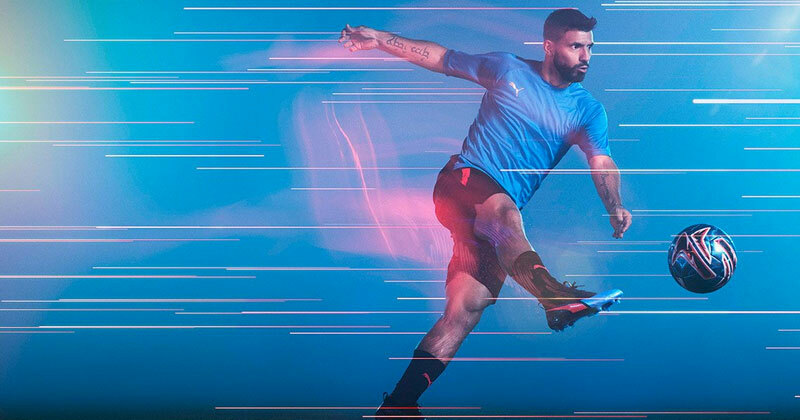 Aguero moved away from Nike and hasn’t looked back since moving to Puma. He has been one of the main faces of the brand and last year teammate David Silva joined him. The Cityzens striker now wears Puma One 19.1, having stayed with the Puma One silo for a number of years. 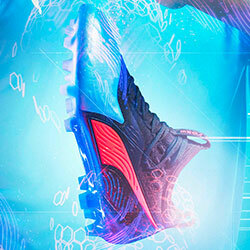 The Puma One 19.1’s are the brand’s top of the range football boot. Worn by Sergio Aguero this season as he aims to score the goals to bring another Premier League title to Man City. The boots facilitate both comfort and fit and assist with speed and ball control, whilst the knitted upper solution gives a ‘sock-like’ feel. 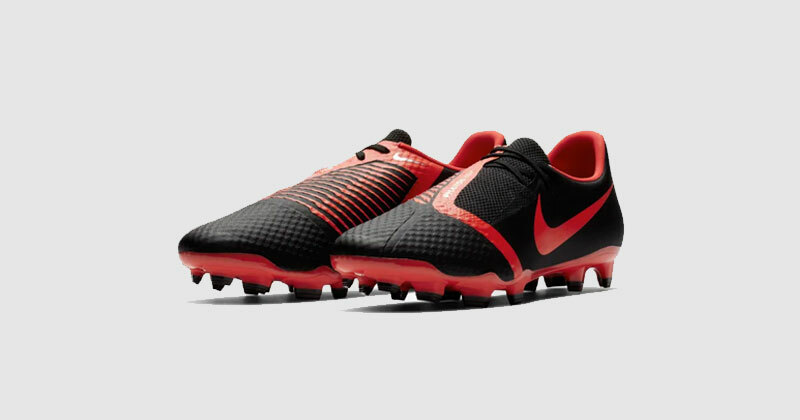 They could be the boots to which help Aguero become the top goalscorer in England’s top-flight for a second time. You can get the Aguero look at a lower price today by checking out the 19.2 and 19.3 alternatives of the Argentine’s boots. Just like his Manchester derby rival Marcus Rashford, 2019 has seen Kevin De Bruyne move to the new Nike Phantom VSN boots. 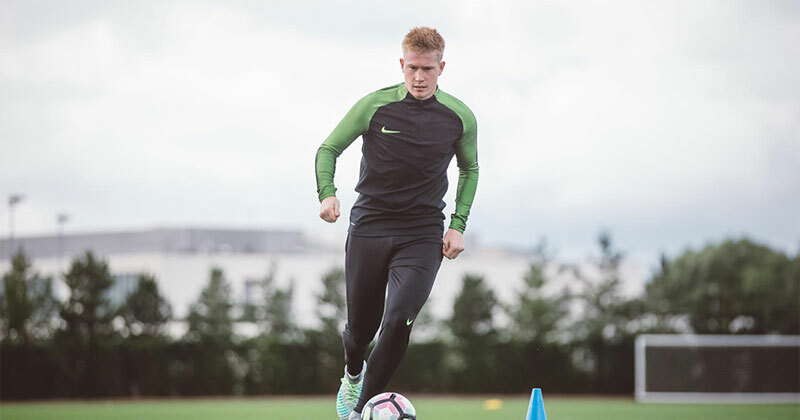 KDB has been a Nike wearer for many years and has worn the Phantom Vision range since they burst on the scene. Although a different type of player to Rashford, the Belgium has got an eye for goal and clearly feels comfortable in Nike’s design. The Phantom VSN boots obviously include all the innovative designs we mentioned above, but there’s a lot more to this exciting new product. 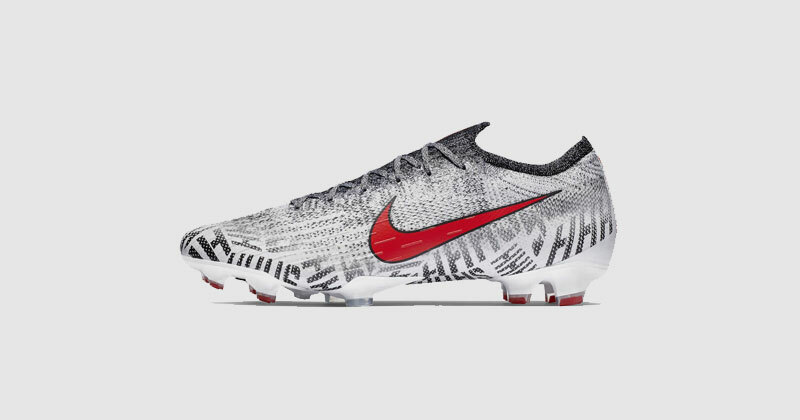 The Flyknit construction comes with Flywire cables which adapts to the player’s foot, and a player of KDB’s standing is bound to benefit from the ridged instep which improves ball striking. 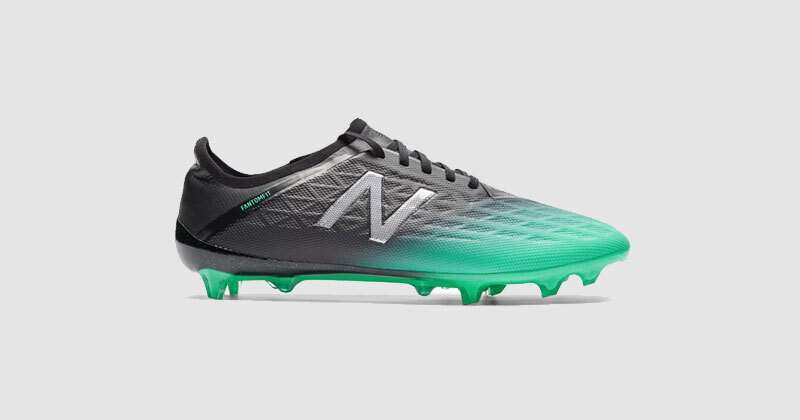 Although the boot is mainly worn by the world’s top goalscorers, we think the 2018 Premier League title winner is a worthy wearer with his eye for goal from the middle of the park. Check out the Phantom Vision Academy and Phantom Vision Pro boots. Used to be good at football, used to be good at golf. Have always been good at eating cheese.